uKit is an easy-to-use, yet one of the most powerful DIY website builders around. Based on an intuitive drag-and-drop technology, it allows everyone to create a visually appealing online presence and maintain it with ease. Whoever you are, a complete novice not knowing a thing about coding, or an advanced user, you’ll find much to like with uKit. Let’s dig in to see what makes the service different from the key players in the market and whether it can meet your objectives. Founded in 2015 with a head office in Moscow, uKit was designed to cater for the needs of small business owners, start-ups, and freelancers. Although it can’t rival the industry giants in popularity, the product is developing fast and ambitiously making its way to the big league. Within just a year of its unveiling, uKit has grown into a full-featured service boasting 500,000 registrations and being available in 4 languages: English, Portuguese, Romanian, and Russian. What distinguishes uKit from the crowd is a generous choice of templates. In total, there are over 280 (!) industry-specific templates in 37 categories (Agriculture & Farming, Automotive, Business & Finance, Cafes & Restaurants, Construction, Education & Training, just to name a few). All of the templates follow the latest trends of web design, are unique, professional, and responsive. By default, each is optimized for multi-device experience, which means it will look great on all platforms, be it a smartphone, tablet, laptop, or a large browser screen. Given the extensiveness of the collection, the chances are high that you’ll find your perfect theme tailored to your particular type of project. Plus, the system won’t restrict you if you ever decide to switch the design you had selected from the outset to another one, e.g. a more fresh or more suitable one. At that, all of the content you’ve inputted will be preserved and safely transferred to a new layout. Once you’ve chosen a template, you can customize it to look exactly how you want it to be: edit texts, upload photos, change colors, tweak the site’s structure, and rearrange elements on the page. Naturally, you want the editing process to be as simple and fast as possible. And uKit offers you that. The platform is based on the WYSIWYG editor that enables you to build the website and, while doing it, see it exactly how it will appear to the visitors when published. All design and building options are located on the left-hand side menu. From there, you can drag the individual building elements, referred by uKit as widgets, and drop them onto the page. In total, there are over 40 widgets, including basic ones such as Text, Image, Space, etc and specific ones like YouTube, Google Search, MailChimp, Google Maps, Social Media (Facebook, Twitter, Instagram, Pinterest), YouTube, and many other. Alternatively, you can drag and drop the whole blocks, which are the thematic groupings of pre-configured widgets. They can be found on the same left-hand side menu under the Blocks tab and are aimed at keeping your site’s layout neat and coherent. In case you’ve made an unwanted change, you can always undo/redo it, or restore a website from a backup copy. All in all, the user interface is very deep, yet intuitive so even if you are creating a website for the first time you can do it without any technical knowledge. 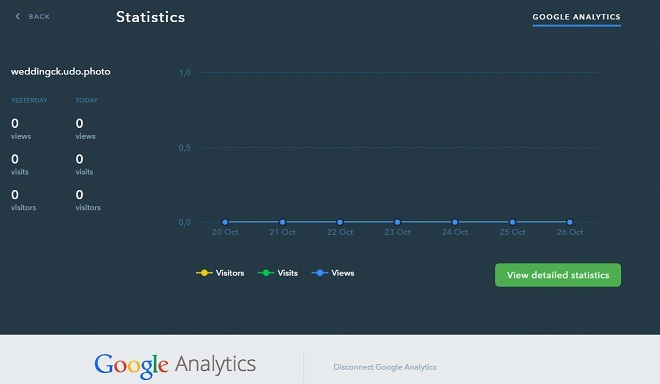 Add this to robust SEO features, strong blogging options, a built-in Promotion tool, integration with Ecwid Store to set up an online shop, Google Analytics to gather visitor statistics and Google Search Console to optimize the site’s visibility in search results, and you’ve got a powerful website builder that’s definitely worth a look. 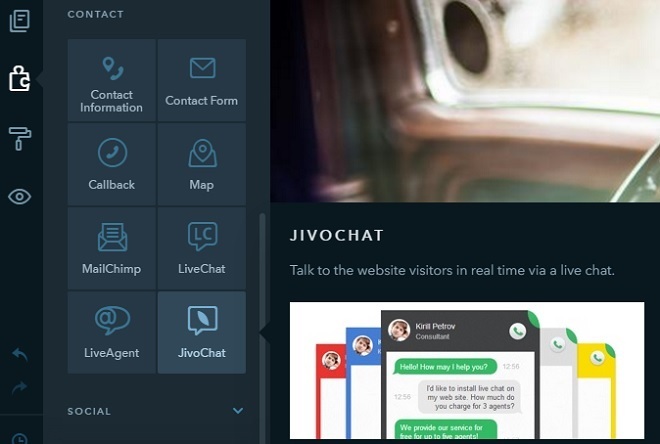 uKit is an affordable and easy-to-use tool to create an online presence if your business model doesn’t require much customization and implementation of complex features. But if you’re planning to build big web portals, social networks, or large-scale online shops, uKit isn’t the way to go, as these kinds of websites require complex personalized solutions. Another disadvantage is that you can’t customize the design of a contact form in the nitty-gritty and that’s why you have to think about its appearance in advance, at the stage of choosing the template. Some other limitations have websites that operate within a free subscription; they have an ad banner with uKit branding. uKit is good for everyone, both newbies and pros, wishing to create a unique and professional-looking website. Still, the main focus is on small business owners, start-ups, freelancers, and other professionals who want to promote their products and services on the web. Once the days of the trial are up, you’re under no obligation to upgrade and can continue using uKit within the free subscription. It comes with a limitation standard to the most free website builder plans – a company’s advertising banner (like the one here). The free subscription is good to test the platform and see if it suits the needs of your project. 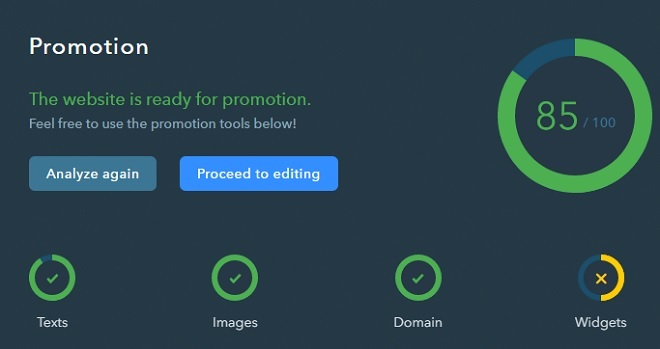 However, if your want your website without an ad banners and with advanced statistics, more creative and coding opportunities, and premium support, consider upgrading to one of the paid plans. For those who are looking for more, uKit offers 3 paid plans, Premium, Premium+, and Pro, which go for $5/month, $10/month, and $15/mo respectively. These are discounted to $4/mo, $8/mo, and $12/mo respectively when paying for a year. Basically, the only benefit of upgrading to the Premium Plan is the removal of the uKit banner. Still, it is quite an important factor in terms of building credibility and trust for your brand in the eyes of customers. 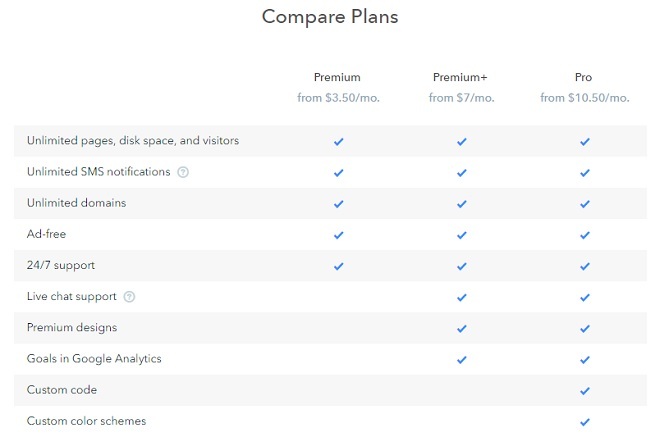 The Premium+ Plan includes all of the features of the Premium Plan plus goals in Google Analytics, premium designs, and real-time support in a live chat. While the Pro Plan offers the fullest-featured package with custom HTML code integration and custom color schemes included. uKit is an intuitive, yet powerful tool with a clean interface, robust functionality, hundreds of attractive templates, and a wealth of options created for the convenience of small business owners.